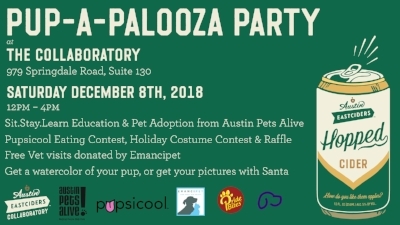 Looking for some animal themed fun around ATX this December? Here is our guide for activities for animal lovers of all ages! Tiny Tails to You Presents: Animal Cuddles at the Farmers Markets! Check us out this month around Austin at these local Farmer’s Markets! These events are for kids as well as grown-ups! Come and meet our adorable animal friends and awesome event staff! We will have bunnies, a hedgehog, a tortoise, a bearded dragon, guinea pigs, baby chicks and a miniature chicken for you to meet and learn all about! We love these events hosted by our friends at the Austin Public Library! Your children can read stories to trained therapy dogs as a delightful way to improve reading and communication skills. 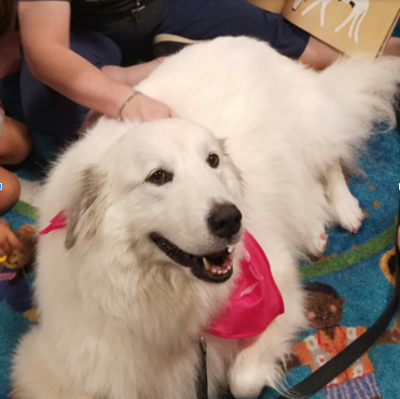 Certified Austin Dog Alliance volunteer teams with trained therapy dogs will be waiting for your kids to read stories to them. Check out the Austin Library locations and dates this month! December 4 | 7:30 a.m. - 9:30 a.m. The Lady Bird Johnson Wildflower Center is home to many wintering songbirds. At this event you will learn from the experts! 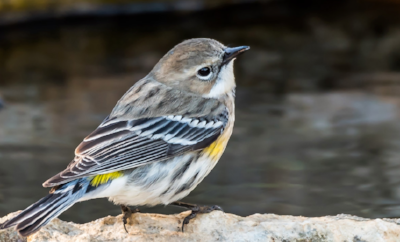 Birders from Travis Audubon will lead this walk and point out sparrows and other wintering songbirds. Find out more and register on their website. Georgetown Parks & Recreation Fishing Derby! 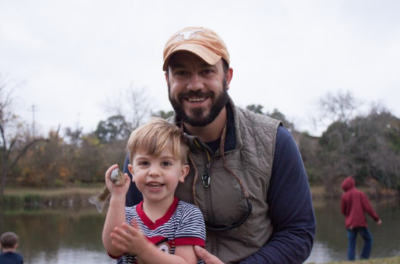 Catch a fish and win a prize! This family-friendly derby is a fun way to enjoy the great outdoors. The river is stocked with rainbow trout, so bundle up and enjoy some fishing! For more info visit the Georgetown Parks and Recreation website. December 8 | 12 p.m. - 4 p.m.
You and your pup can enjoy some free fun at the famous Austin Eastciders Collaboratory. There will be a costume contest, tasty treats, lots of dog-themed fun, and of course tasty ciders! You can find out more information on their Facebook Event page. Get a photo with the grouchy green Grinch, at Uncle Billy’s Brewery & Smokehouse and support Blue Dog Rescue. December 9 | 7:30-9 p.m.
Get a photo with your pup and Santa because you want the whole family in your holiday photos. Thursday, December 14, 6-8 p.m. Enjoy plant and animal displays, guided tours, kids activities, food and more! 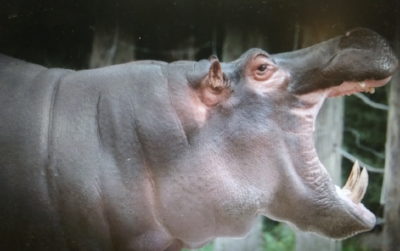 Hybrids between different species are more common than you may believe. Blending two species can create some really amazing animals and plants, but it also has consequences to their evolutionary fitness. Head out to “Science Under the Stars” this month to learn more from IB graduate student Andrius Dagilis about why hybrids are important to both biology and society! For more info visit their Facebook page. Baby goats, yoga, and charity! What more could you ask for? Join GOGA at their last goat yoga events for 2018 at the Galleria and Lamar Union. You can visit their site for more information about these events! The Capital Texas Zoo transforms into a winter wonderland for the holiday season. Hours are extended to 9pm (except for Mondays). Get a picture with Santa or Moses the Christmas Camel. There will also be games, prizes, and plenty of holiday cheer. Make the most of the winter holidays with active and engaging programming at Austin Zoo. Join them for two days of Winter Camp. Designed for children aged 6-9 years, activities will include guided zoo tours, animal encounters, hands-on activities and much more. For more information visit the Austin Zoo Website. Get ready to celebrate Sango and Jelani's 5th birthday party December 28! Watch the lion brothers open their birthday surprises and enjoy light refreshments. For more details visit the Austin Zoo Facebook page. Newer PostTiny Tails to You! Staff Spotlight: Meet Preston! Older PostTiny Tails to You! Staff Spotlight: Meet Kirsten!